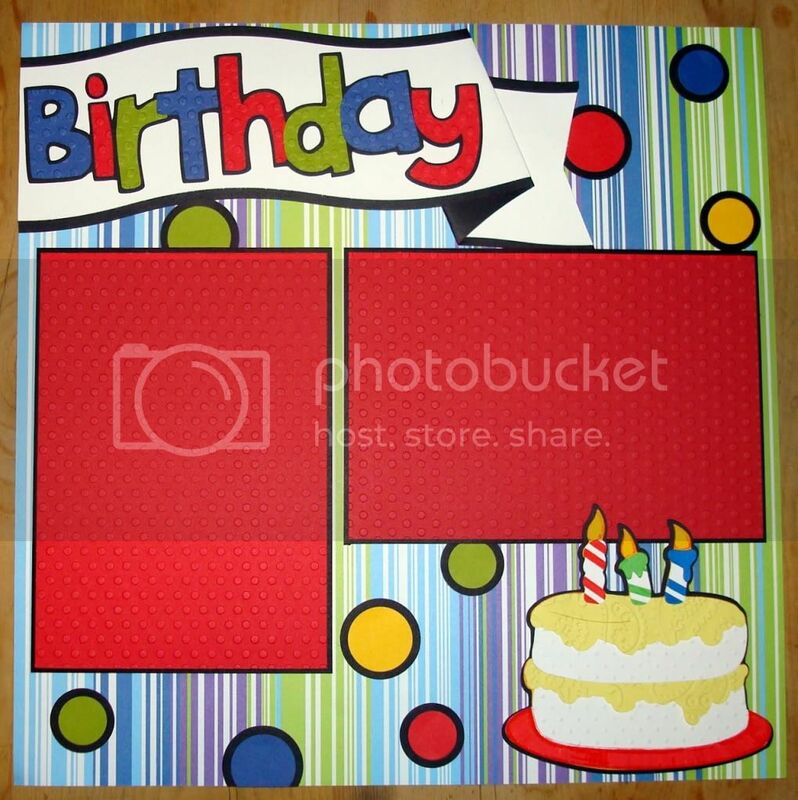 I created this colorful 2-page 12x12 layout using the Elmo's Party Cricut Cartridge... I've had this cartridge for almost a year and I've never cut one thing with it until today!! Since my goal is to use each and every cartridge I own this year :) I thought this was a great way to start! I did use my Gypsy for this layout... Elmo is cut at 6" -- I did cut all the layers, including the shadow since I wanted it to stand out from the pattern of the page. The birthday cake was cut at 4"; however, I did not cut the layer to add the face. 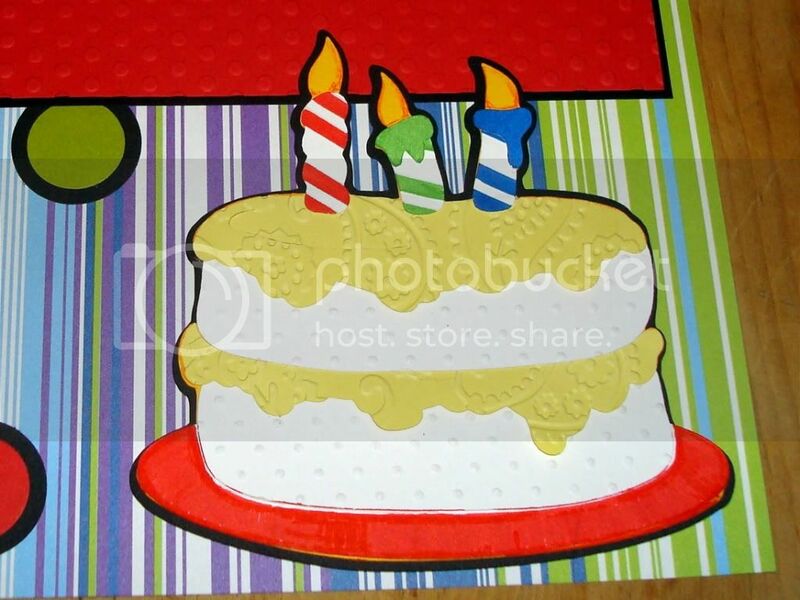 I used my Cuttlebug Swiss Dots folder and Perfect Paisley folder to add some texture to the cake layers. I also used my Sizzix Strips folder on the candles -- Since I cut the candles in white, I added some color with my Creative Memories markers. The final touch was adding the circles all over -- They kind of remind me of the ball pit at Chuck E. Cheese's... If you've ever had the pleasure of attending a birthday party there, then you know that the balls tend to fly everywhere!! So Elmo is really enjoying all those colorful orbs bouncing around :) My ball pit balls were created with my Creative Memories circle punches (both the small and large). If you have any questions about this layout, please feel free to leave a comment or email me... And if you have this cartridge and haven't used it in a while or at all -- Take a moment to pull it out and check out all the really cool party items you can make with this secret gem of a cartridge!! I can't wait to cut more!! I would love to read your comments on my layout, so please be sure to let me know you were here. :) If you live or visit the Western Pennsylvania area, I'd love to have you join us at one of our Scrapbooking Retreat Weekends!! We have one coming up in just under two weeks with only a few spots still available... You can read all about it HERE!! To see all of my current creations, please CLICK HERE! Thanks for stopping by -- Hope to see you here again soon!! This is just adorable, like Girlia said, thanks for the shout out and all the wonderful comments you leave on all of our blogs. Thanks so much for joining CTO! What an AWESOME layout! 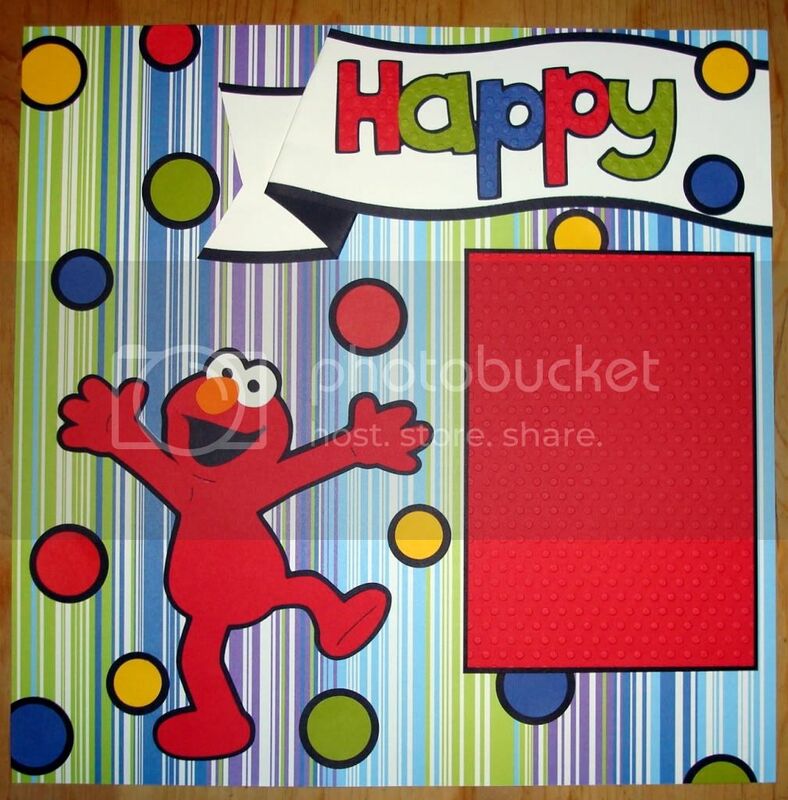 I LOVE the colors you used and of course Elmo too! Thanks for playing at CTO! Simple and cute...my kind of page! Really puts the emphasis on the photos, too. You did a great job, love hte bright and cheery colors! Thansk for playing with us @ CTO! Love this layout!! 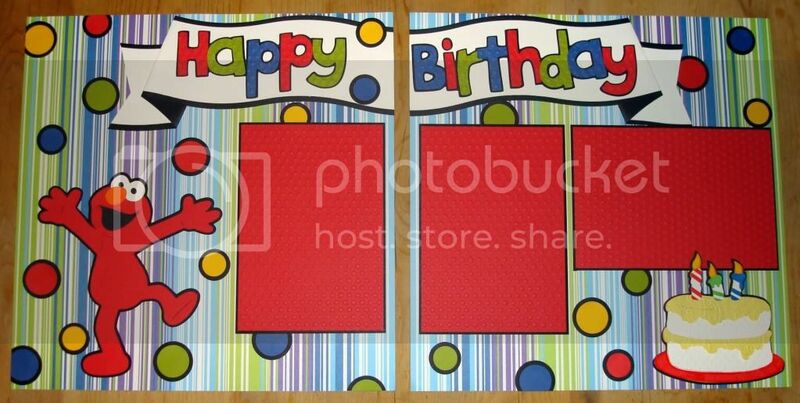 It's so bright and colorful...perfect for a kid's birthday celebration! Thanks for playing along with us at CTO! Congratulation on the winning for the drawing of this month.. This is a great LO. 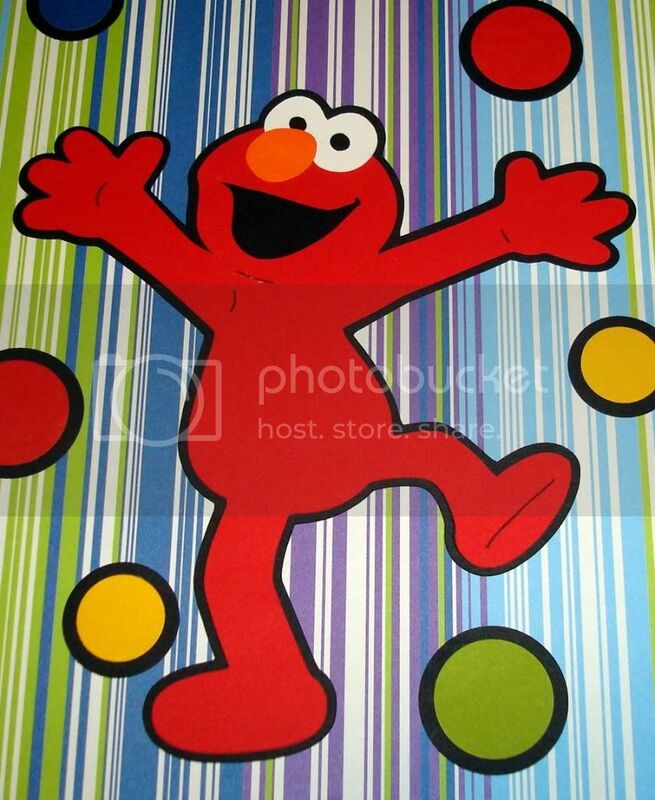 I love the Elmo and all the colors! OMG! I love this layout. 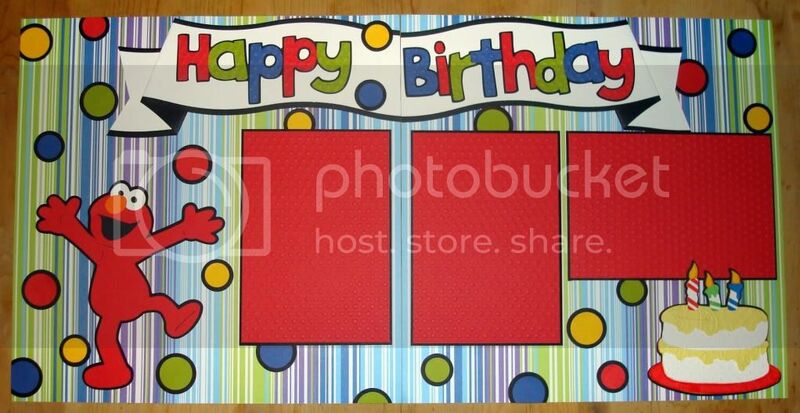 You know I'm doing an Elmo Party for my daughter this November and I may just have to lift your layout. I really love how you did the banner!! !